Make baby's first woven blanket with this special no-sew kit! Surprise someone who is expecting with this cozy, no-sew woven blanket for baby. The color combination works great for both boys and girls, and will be a treasured item for years to come. 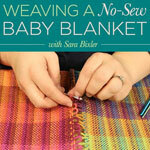 Sarah Bixler shows you how to weave a blanket that doesn't involve any sewing! In this video, you will learn how to create a simple no sew baby blanket on a rigid heddle loom. You will weave narrow panels as small as you'd like, and seam them together in a series of small loops on each selvedge edge of your panels. These loops will allow you to construct the blanket without ever picking up a sewing needle. 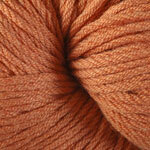 4 hanks of Orangesicle cotton yarn. 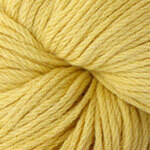 2 hanks of Cornsilk cotton yarn. 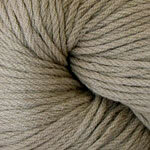 2 hanks of Pebble cotton yarn. 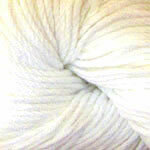 1 hank of Daisy cotton yarn.